Expectations were greatly exceeded with Philip and his 2 man crew who moved me, especially after a previous moving nightmare. They were so professional, courteous and helpful all day long. This amazing team worked together so efficiently and always with a smile. It made what could have been a stressful day a most enjoyable one! This is a great painting supply shop and hardware store with great staff. I go there frequently to buy Benjamin Moore products and always get quick and friendly service. It is a place where it pays to be a loyal customer, as the owner is very kind about giving you discounts on paint samples when you buy an armful. He once gave me a discount on a replacement gallon of paint when I mistakenly ordered the wrong colour (completely my mistake). I highly recommend doing business here! We had a very positive experience with Factory Tile Depot. First, we were delighted to find such a wide-ranging selection close to home in Oakville. And the team there was great to work with - knowledgeable in-store service, our order arrived as planned, and when we had a hiccup they resolved it satisfactorily. We will go there first for future tile projects. When purchasing all the fixtures for an major home remodel, we went to one of those upscale, decorator lighting stores, and spent a LOT of money. But we never felt like our business really mattered to the sales associates or the store. So, for future purchases, we have been customers of Royal Lighting. I have always felt respected as a customer, even when purchasing something as simple as a light fixture for the bathroom. I am now in the process of changing our kitchen and bedroom light fixtures, and have been given some good ideas and options to consider. And, yes, they can get you pretty much what you would find in an "upscale" store...I was surprised about that...at a much more reasonable price. Yes, it's a busy place and sometimes there can be a wait, but there is always someone to take care of me. Just had our floor completed and they look great. When I stopped by the showroom after they were complete to pick up a cleaning tool, I mentioned that there was a small item that we were unsure about. Not only were they understanding, they came out the same day to take care of it and could not have been more accommodating. Great to work with and a value. Had a few other quotes that were higher and didn't get that "trust" feeling about them like I did with Speers Flooring. As 3 time repeat customers words don't begin to describe the fantastic customer service and quality craftsmanship we received from Reinders Kitchens. The company specializes in kitchen cabinets and computer design for home owners and builders. They make everything at our own facility in Brantford, so no fear of cheap offshore products. When you hire them for your job, they will have a consultation and will help you design the kitchen (colours, style of doors, hardware, etc.) you imagined. If you need your older kitchen upgraded, they can come up with creative solutions to give you the new kitchen you desire. Every customer receives friendly service, great ideas, creative design and actively participates in the consultation process from Mike Reinders and his team. I was prompted to write a review after the 1st order I placed with this company because I sang such high praises, I have turned into a returning customer. Not only is their selection never ending & the best prices, but they also have the BEST communication team. Their stores will be the FIRST place I check for lighting! I highly recommend this Concept Lighting! I am finally excited to have found a place that has my eclectic taste and it won't cost me a fortune to special order. I no longer even look at my local Lowes or Home Depot for lighting or fixtures, there is no point. Great Selection, great variety, great prices! The team at Sarana are friendly and helpful...true experts. I was searching high and low for some Italian tile and some glass tile for my local retail shop. It had to be beautiful and affordable...I found it at Serana. 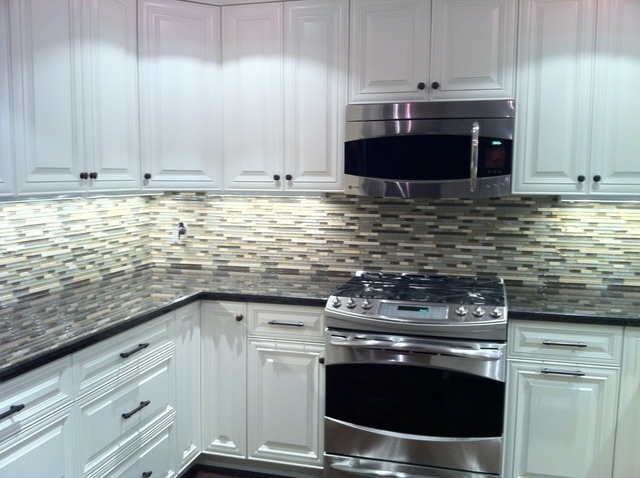 I even got a little glass mosaic accent strip on closeout that pulled the entire look together. We're very happy that you were able to find exactly what you were looking for at our shop. Please visit us again soon! We've had our new windows for a little more than 6 months and remain completely thrilled with the product, service and overall customer experience from the Fasada team. The installers, were friendly and efficient and did an impeccable job! They cleaned up at the end of each day and the only evidence that they were even here are the beautiful windows. I would absolutely recommend Fasada to anyone looking at replacement windows or doors! Thank you so much for your kind words Dave. We try very hard on a daily basis to make sure we leave every home with the satisfaction you have experienced. Thank you for sharing!!! As a two-time repeat customer, it was only natural for us to contact Rock With Us to source and install the granite needed for our new kitchen renovation. Like our previous projects, our new granite countertops looked amazing and were installed with every attention to detail. The installers, Larry (the owner) and Travis, were professional and efficient. They looked after all our needs and made any adjustments to the installation as they performed the work. The countertops came out looking fantastic. Use Rock With Us and you will not be disappointed! Our new but older home underwent some fairly large renovations resulting in just about every type of dust and airborne contaminant known to man. So we thought it would be wise to have our ducts cleaned to literally clear the air. After a few initial discussions with some less than reputable "fly-by-night" operations, we decided to book an appointment with the Duct Cleaning Specialists. They arrived on time and were the epitome of professionalism throughout the service call. Our technician explained every step of the process and took extreme care while in our home. We are now confident in the air we breathe and would highly recommend their services to any looking for this type of work. A critical element to our extensive home renovation required the services of a licensed and reputable Electrician. We found Jans Electric through HomeStars and could not be more pleased with the professionalism and superior work that was performed by this company. The dynamic duo of Ed and John completely rewired our main and upper levels and installed several pot lights all to the highest degree. All in all, if you are seeking personable, professional and superior electrical work, then do not hesitate to contact Jans Electric. If you desire a sub-standard paint job at a premium price, then the father and son duo of Bernie and Barry are the painters for you. These guys are clueless when it comes to the importance of wall preparation before painting and it shows. Although constantly reminded, they simply painted over easily fixed nail pops and other minor wall imperfections, although wall repairs were quoted. Resulting in a paint job that left you scratching your head in bewilderment. One bedroom was painted so poorly I had them completely redo it, which Bernie sulked about later. I strongly advise looking to another painting contractor as these guys are to be avoided if getting a professional looking paint job matters to you. After a few years, I have decided to finally comment on this particular negative review about us, since we've had a couple happy customers say we should reply. Dave gave his opinion. Now, here’s ours. We at B.W. Painting--my son and I--have been in the business for 21 years now and we value our customers. A good 80% of our jobs are either referrals or repeats. First off, after agreeing to our quote way back when, Dave refused to give us the customary 1/3 deposit that we asked for. We thought that odd. He said that was his policy. We’ve never had trouble before or since from a customer not wanting to give us such a deposit. We should have walked away at that point. Unfortunately for us, we pressed on. As it turned out, Dave was the worst, most miserable customer we’ve ever worked for. And he was sneaky. Example, while having his master bedroom furniture moved in after we painted the walls, someone, either the movers or a family member put a gouge on a wall opposite a furniture piece. Dave blamed us, saying that we had missed patching it when we had painted the room! Also, those pictures he used in our review weren't from his house, he must have got them from a google search. The job was split into two phases, separated by us leaving in-between because contractors were doing major work inside and we thought it best that we stay out of their way. Plus, the dust was an issue. Along the way, we had managed to collect some money from him. After our first phase was done, we’d had enough of Dave--for a number of reasons--and advised him to get another painter, this when he still owed us for the remainder of the first phase. Dave had agreed to pay us a portion--about half--of the amount left. We settled on $800 and he agreed to send us a check. Then, he got very sneaky. He registered our business on this site by using our own email--we didn’t register ourselves--for the sole purpose of giving us a bad report, and then since he created our profile, he had full control of our account, so we couldn’t sign in and reply on site. I phoned the Halton Police fraud unit and asked if what he did was illegal. The female officer said it wasn’t, as yet, but bordered on it. It was certainly unethical, she added. She then suggested that I could take the matter to small claims court, especially since Dave hadn’t finished paying us. But I knew that wouldn’t be worth the trouble. I just wanted us to get away. Furthermore, I found out that Dave also gave his movers--whom he used about the same time we had painted there--an equally bad review, using his same method by registering them on this site without their permission. I know because I talked with the owner, and, like us, he said they weren’t registered either. I wonder if they too weren’t paid their full amount. By the way, we’re still waiting for the $800 check from Dave. And we’re the bad guys? I am convinced that this company employs the deceptive strategy of under quoting the time needed for a move in order to secure the business only to exceed it by several hours. Our local move around the corner took an astonishing 16 hours to complete! They used an inadequately sized truck resulting in three return trips and in the process damaged several of our possessions and walls. At one point, I discovered the 3x3 glass top from our coffee table leaning exposed and unprotected against our artwork on the bare hardwood floor. This company is the perfect storm of incompetence and ineffectiveness. Simply put, avoid this moving company at all costs if your time and possessions matter to you. There is no deceptive strategies employed here. Your move did go over estimate but as I recall you ONLY PAID FOR THE ESTIMATED hours and not the above quoted 16 hours. We only have one sized straight truck so larger moves are done with either two trucks, or if the address's are close, one truck to make trips. The glass was likely leaning against the wall waiting for the table base to be brought into the home. We cannot lay if flat on the floor for someone to step on.